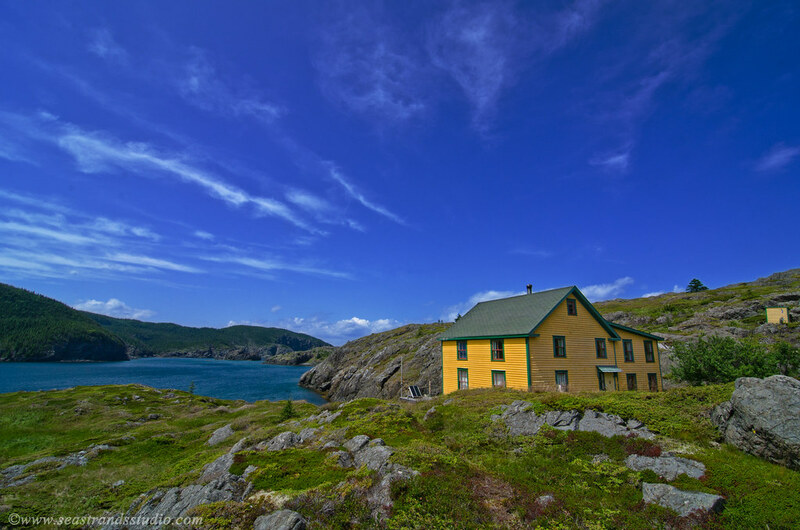 (One of) The Manuel House(s) on Exploits Islands. After yesterday’s little hurricane, it’s nice to look at blue skies and normal wind levels. We weren’t hit too badly, although our shed is ninety degrees north of where it ought to be. I took these photos in July, on Exploits Islands. The shot above is of one of the more dramatic and colourful houses on the islands. It’s extremely well-kept, too, which makes it even more picturesque. As you can see, it’s a fair distance up from the water. Not too bad, mind you, by comparison with the building in the shot below. 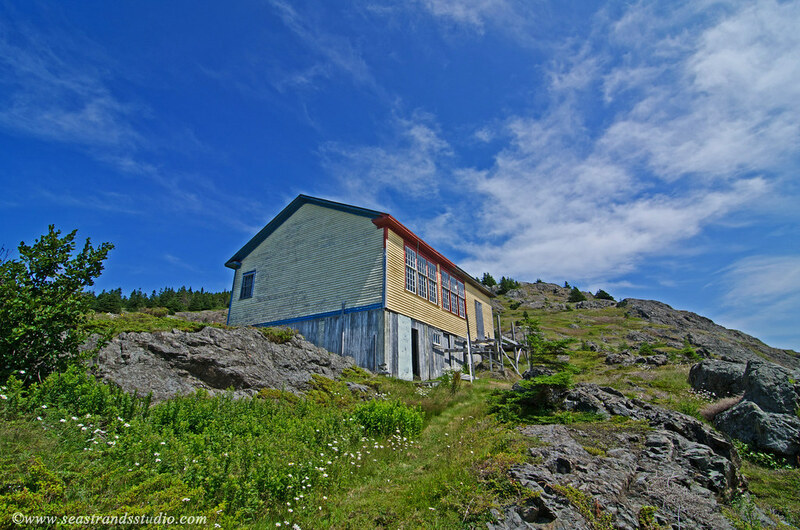 The schoolhouse on Exploits Islands. The old schoolhouse is being revamped as a cabin and the picture above was taken from near the yellow house. It’s a long way up to haul groceries for a visit and an even longer way up to lug clapboard, paint, roofing materials and other things necessary in the restoration of an old wooden building. I have nothing but admiration for Ted Stuckless and his wife, Joann, for attempting this feat. It’s one thing to get materials out to the island and quite another to move them from water level almost straight uphill 400m or so. You need strong backs and dogged determination.